The final day of my journey started with a foggy cold sunny morning. It looked like a great day in the making. And indeed it was. 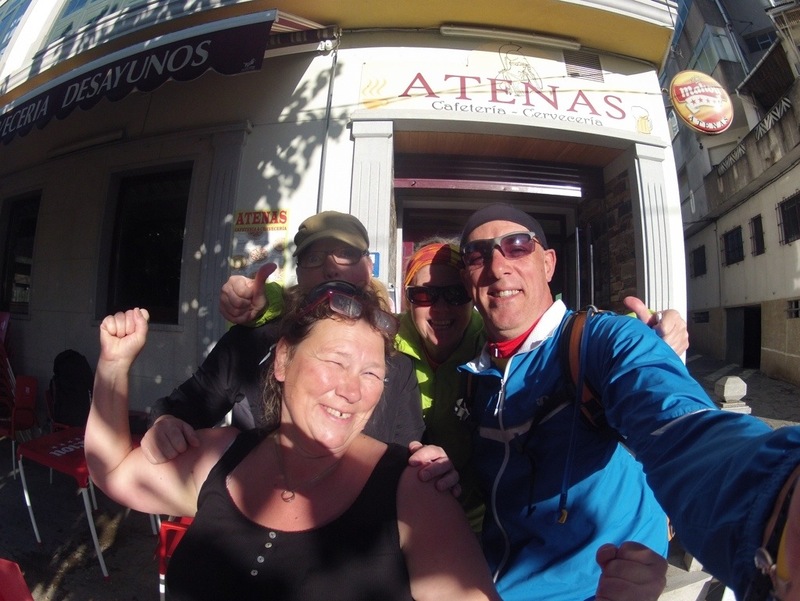 After a café con leche and some pastries I got rolling through Melide. Stopped at the town church seeking for a stamp just to find that someone had taken the stamp as a souvenir. Really?!?!? I also bumped into Luchia and her husband. A very nice couple from Colombia They were biking the Camino too. 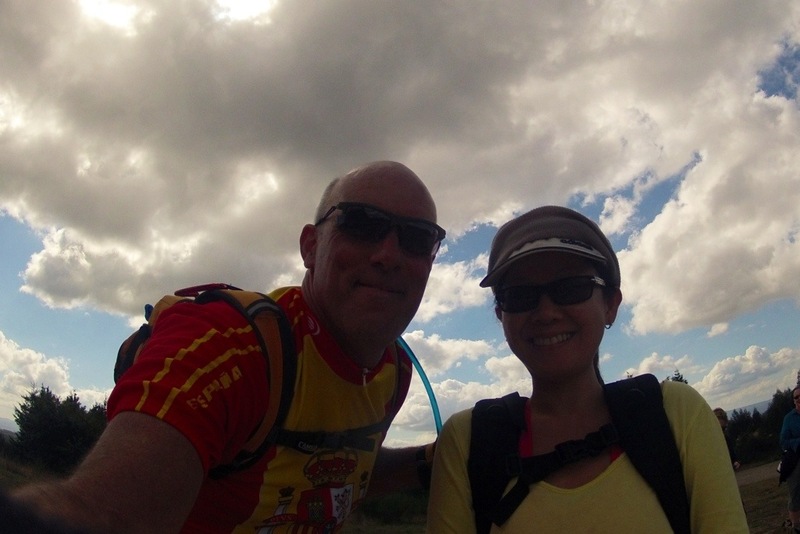 We took some pictures and exchanged the mandatory Buen Camino wishes and set off on our way. They chose the highway and I chose the traditional walking trail. What a beautiful morning. My favorite star was shinning bright in the light blue sky. 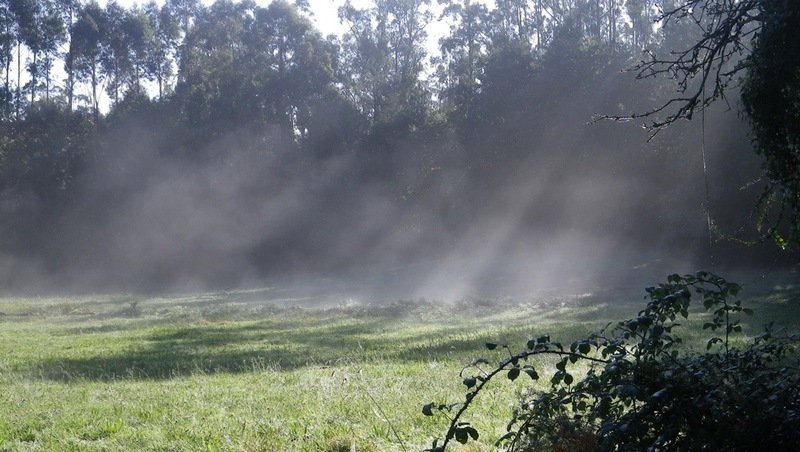 A light fog was present on the fields and you could see some of the moisture evaporating by the warmth of the sun. This was the type o day worthy of a last day for a long journey. 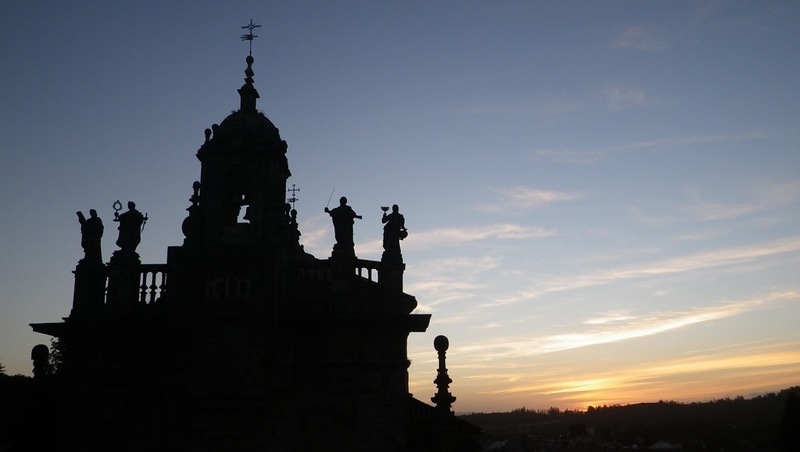 There were lots of Pilgrims on he Camino, I carefully passed them one by one, engaging in light conversation every now and them. I met people from Korea, Japan, Germany, Sweden, Brasil, England, Ireland, and more. I also saw pilgrims dealing with very painful bleeding blisters. Ouch! Personally, I was feeling great. No aches or pains to speak of. 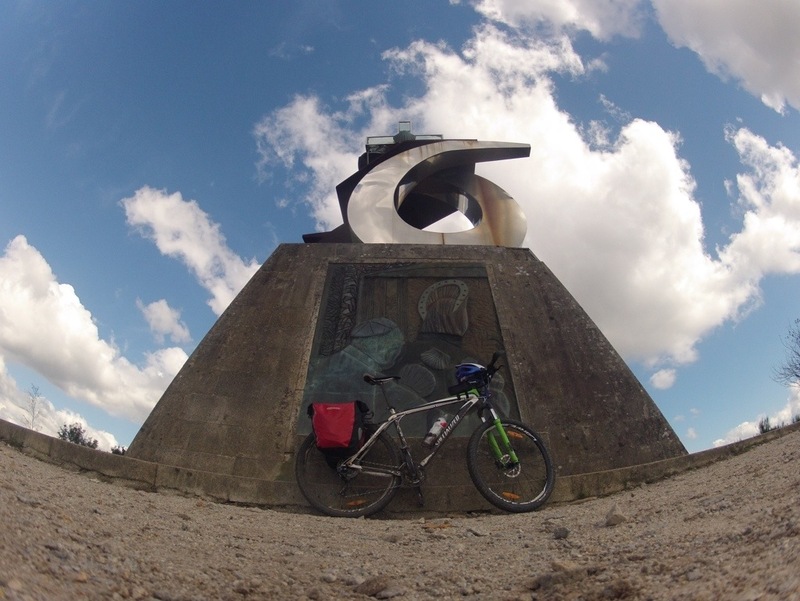 Just the drive to finish the Camino while enjoying the ride. The ride was a short 51 kilometers of rolling hills and some steep short climbs and fast descents. Near the endI stopped for a Spanish power bar (tortilla de patatas) and met with a couple of cyclists that I had seen on and off thru the Camino. We kind of rode the last few kilometers together. When I finally arrived to the Monte do GozoI stopped to the mandatory picture taking. And while there a Japanese peregrina ask me if I wanted her to take a picture for me and I replied yes.as she came closer I snapped a picture of us. Everybody had a good laugh. 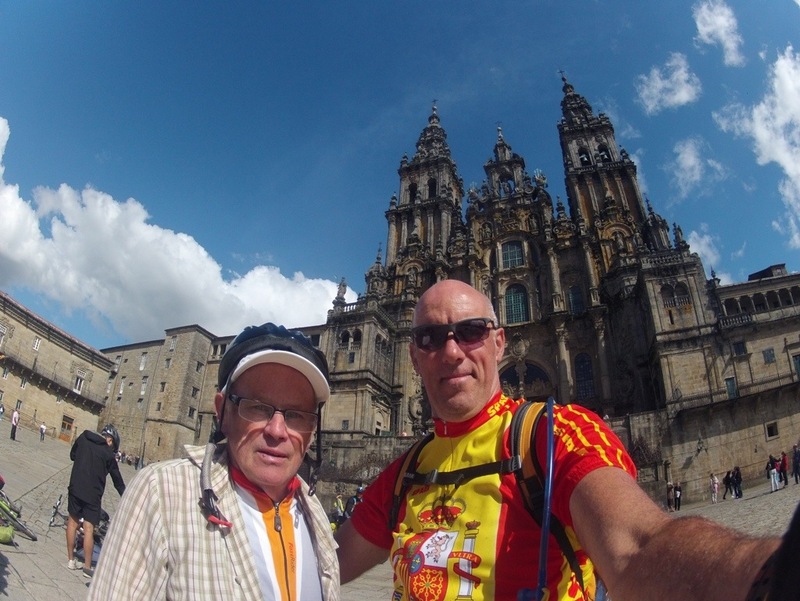 I then resumed my final kilometers into Santiago. I followed the signs precisely and entered the Plaza del Obradoiro as a bicigrino for the second time in my life. It was nice to see that the Cathedral still looking as imposing as it ever did. 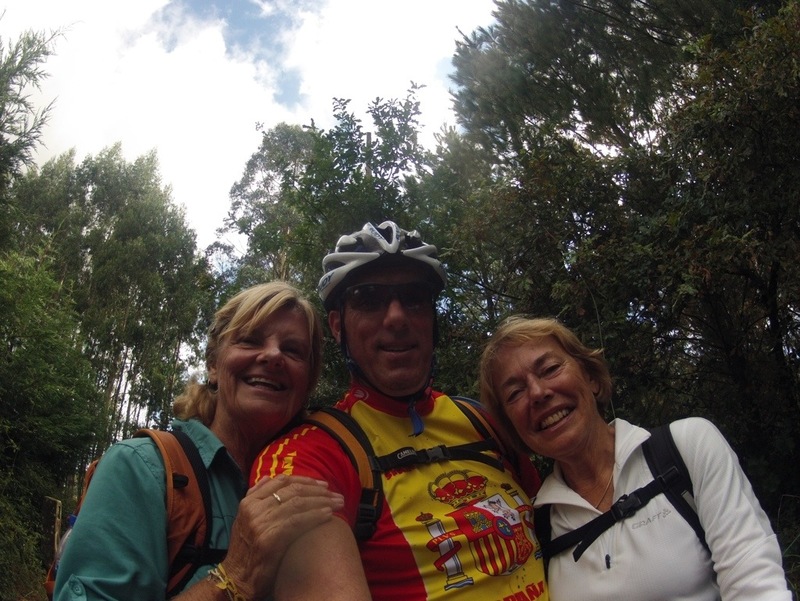 There I found several bicigrinos that I had met during the ride. We all congratulated each other and took the mandatory pictures. After checking in to my hotel and taking my shower I returned to the Cathedral were I met my friend Michael from Guatemala. I had met Michael the day before in Melide. He invited me for a Couple of beers while I waited for Chris to arrive. 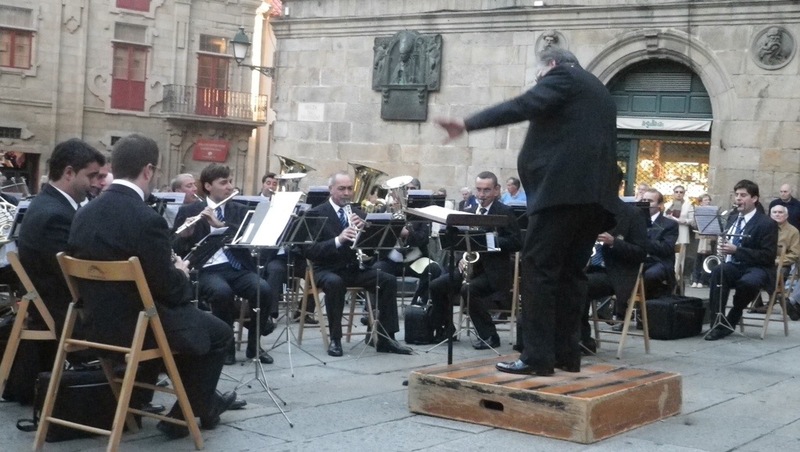 I was also treated to concertos one of the plazas. The local symphonic orchestra plate 5 pieces of classical Spanish music. Very cool! 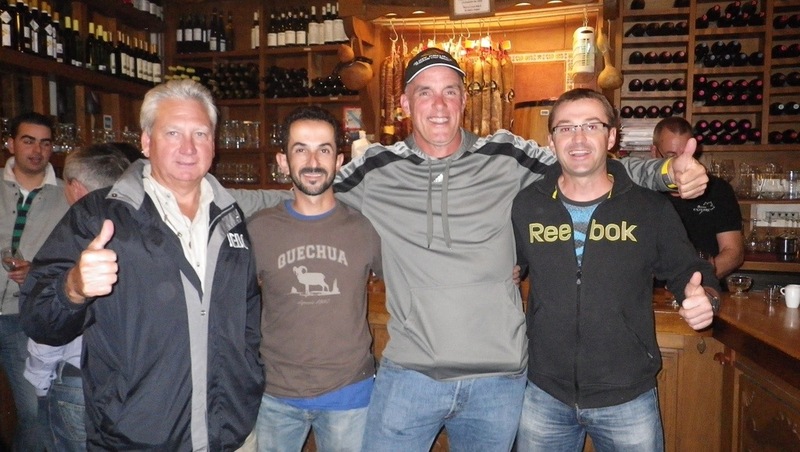 That night we went on to celebrate our personal conquest with a dinner at a really good Galician restaurant. We had some really good Riojan wine, pulpo, pimientos padron, some seashells and a steak. All the food was shared between Chris, Michael and I. On our way out I met two other Spanyards which I had previously enjoyed their company for dinner at Carrion de los Condes. We exchanged stories of the last few days since we seen each other and finally called it a night. This was indeed another great ride from start to end. On a sad note, the storm that made us suffer on our descent from O Cebreiro hit the south of Spain with full force causing the death of an elderly woman, displacing lots of people from their houses and causing lots of damage on it’s path. 3 Responses to "Day 11 – Melide to Santiago de Compostela"
Tive a grata satisfação de conhecer, Alan Fletcher, na estação de trens em Santiago, na Espanha. 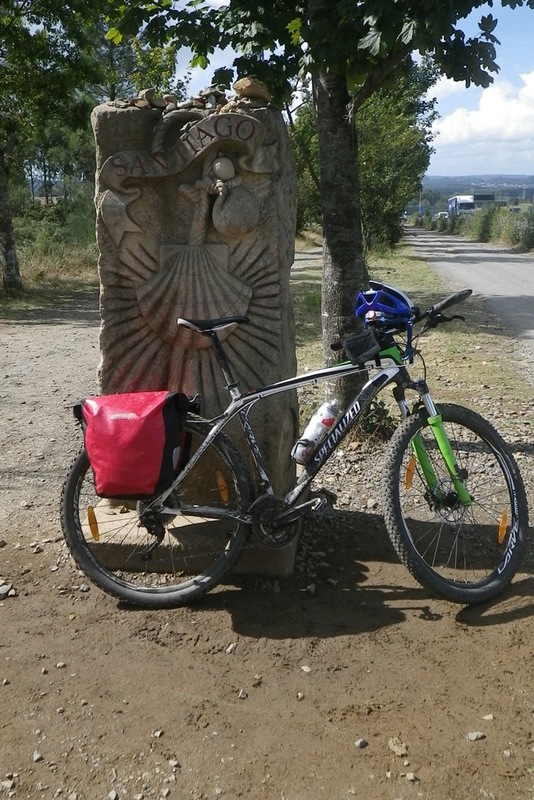 O caminho de Santiago já havia sido concluido por nós, peregrinos e bicigrinos. Mas, o espirito de camaradagem ainda estava entre nós.